Fancy the experience of sailing a Tall Ship? 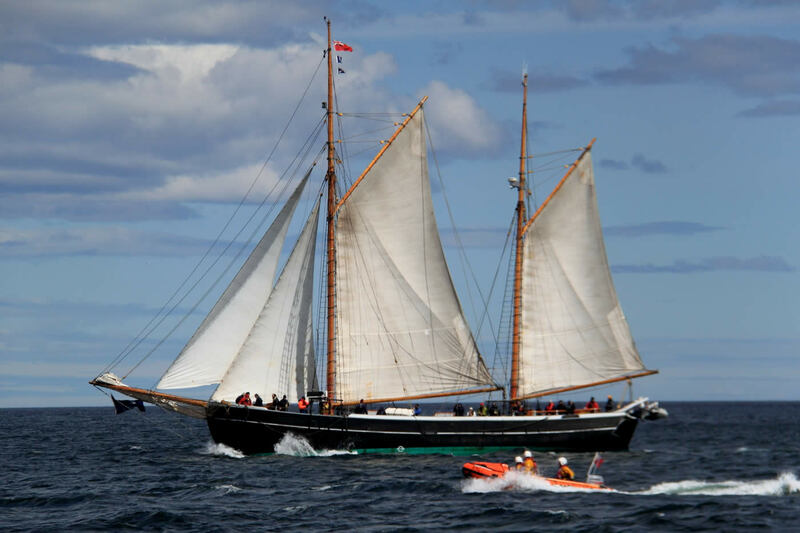 Blyth Tall Ship is planning a voyage round the coastline of Great Britain, starting on 17th March 2019. We will be calling in at 10 ports en route and changing crews at each stage. If you fancy the experience of sailing a Tall Ship for 6/7 days as a Crew Member APPLY NOW! Almost 200 years ago Antarctica was discovered from a ship built in the small North East town of Blyth, Northumberland. The Williams was built and owned by a Captain William Smith a man born and raised in Blyth. On the anniversary of this British achievement in 2019 it is The Williams Expedition aim to build a modern replica of the Williams in Blyth to recreate the original expedition with a local crew. The expedition aims to showcase the North Easts talent, engineering and technology on a world stage and in conjunction with Newcastle University undertake meaningful marine science. We have now completed the core refit of Williams II in preparation for its training and selection voyage around Britain in March, April and May 2019 after three years of dedicated work by our trainees and volunteers. Over the 2018 summer, we have also trained a core group of volunteers with specialist senior skills to operate efficiently onboard the vessel while training and supporting inexperienced crew. The Williams II is a 36m gaffed riffed ketch, which was built of oak with pine decking and masts in 1914 in Denmark and at 24m on deck, with a 2.7m draft she is almost exactly the same dimensions as the original Williams built 100 years earlier in Blyth. She is twin skinned with an oak outer and inner hull which makes her very strong and able to operate in icy waters and has been augmented for strength with a steel girder running the length of her keel. The refit has replaced approximately 40% of the planking below the water line, 30% of the decking which has also been re calked (sealed) serviced and rebuilt the engine (an 8 cylinder Gardener diesel), serviced and upgraded the rigging and rewired the electrical systems. We are now seeking sponsorship for new sails and specialist expedition equipment. The recruiting process for crew to train and be selected for the final voyages on a series of 1 week voyages around Britain from March 2019 is now open. You need have no experience, simply a desire to explore your potential. You can download an application form by visiting our apply to join the expedition page. With crew training and selection well under way and the round Britain legs ready for the off, we are continuing to raise funds for an eventual attempt to repeat the original voyage of the Williams to Antarctica. It is a huge task given that we wish to raise most of the money via corporate sponsorship rather than asking the people of the deprived community we are supporting to find it themselves. While this fundraising task continues we will follow in the footsteps of Smith and head north to the Arctic circle on three legs this summer and possibly South to Spain in the summer of 2020. Both expeditions will test and train the crews selected from our round Britain trip, thus making us better prepared for Antarctica and will ensure we are ever more visible to corporate funders. Leg 1 - Blyth To Bergen - 13th to 27th July. Leg 2 - Bergen north of the arctic circle and back, 27th July -17th August. Leg 3 - Bergen to Blyth, 17th - 31st August. If successful we will ask you to pledge to raise funds to support the work of Blyth Tall Ship. Leg 1 £900, Leg 2 £1300, Leg 3 £900, A discount of £400 for 2 legs and £800 for booking 3 legs. If you have any questions about joining the crew please contact our dedicated team at team@williams-expedition.com. If you are interested in finding out more about our expedition as a possible sponsor please email Paul Cosgrove at info@williams-expedition.com. This is a spar that extends from the bow of the ship. This under tension through the the forward halyards and helps keep the ship under and masts under tension when in full sail. This is the triangular foresail just forward of the mast. Pronounced 'Rattlins' these of lengths of thin line tied between the shrouds that form a ladder. Traditionally used by sailors to climb the mast in order raise square sails, on the Williams they are sometimes used to help rig the boat or free any twisted rope high in the mast. Essentially a shaped pine tree the main mast is a massive object that runs deep into the hull of the boat. It supports 4 sails in total and a huge amount of weight when under sail. This guides the Main Gaff up the main mast. The main gaff is hoisted BY the 'Topping Lift'. This often takes up to 6 crew to hoist. The Main gaff is a huge spar and thats really appreciated when one ties to lift it! When this sail is up it is the foremost sail of the boat and outer most of 3 jibs in total. Always exciting climbing along the bowsprit as the sail is raised or lowered. The engine of the boat and provides a huge amount of power when under sail. The main boom holds the main sail outstretched. Its only when it is lifted and sailing when you truly appreciate the size of spar this is! Constructed from pine the two main masts are incredible pieces of wood. Trees that have been chosen for their straightness and free from imperfections. The gaff is a a spar that holds the head of the sail. It takes 6 crew to hoist the gaff and raise or lower the sails. The secondary sail of the boat and can provide some considerable power. Both the main sails can be reefed to reduce sail area in heavy weather. The boom holds the mizzen sail outstretched. The Mizzen is teh secondary main sail of the boat. Often the first sail to go up. Used to hold the R.I.B (Rigid, Inflatable, Boat). 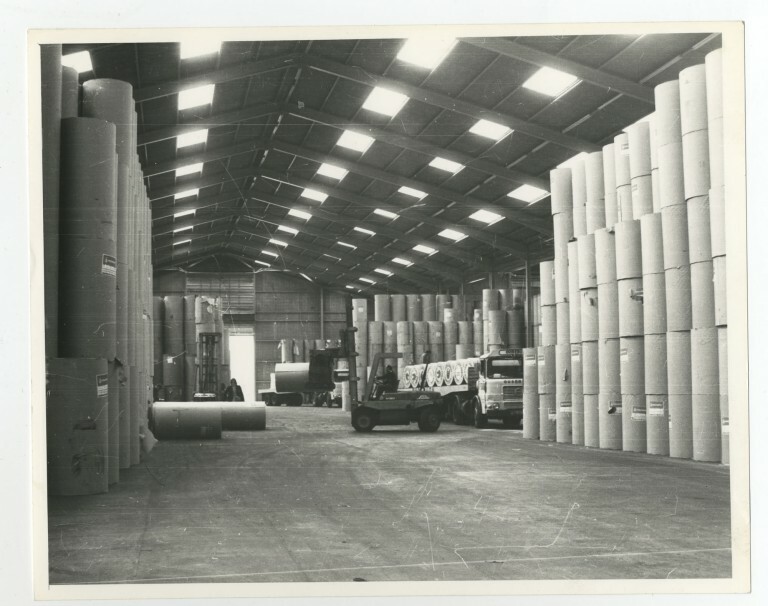 The estate was acquired by the Ridley family who enlarged the quays and started manufacturing salt on a large scale. Customs books from 1723 record trade consisting of solely coal and salt. Earliest record of a ship being built at Blyth. The vessel was the 44 ton sloop 'Constant Ann'. The first breakwater was established which was a roughly built stone structure intended to break the force of the sea in an easterly gale. It was known as North Dyke. The first staiths were built with an elevated loading point. High Lighthouse was also built which served untill 1984. A poem is printed entitled 'A tribute to the Memory of Captain George Robinson'. An increasing number of vessels were using the river. This led to the purchase of a steam vessel to tow sail vessels back to the sea. Shipbuilding continues with three shipyards operating. The site became known as Wimbourne Quay. 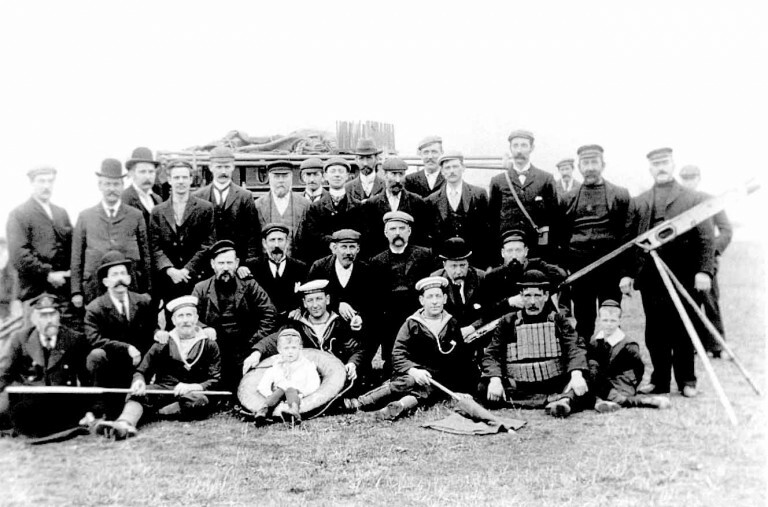 Blyth's first lifeboat is established. 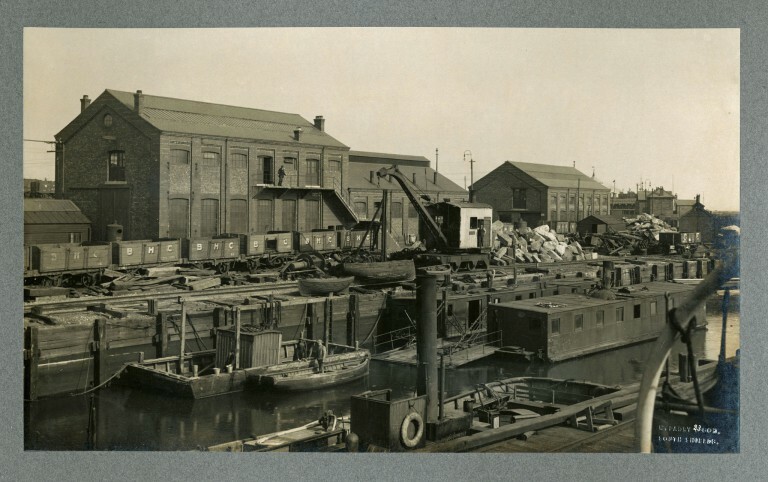 Blyth & Tyne Railway Company built the first rail linked staith on teh south side of the river resulting in coal shipments growing rapidly over the next few years to around 200,000 tons per annum. 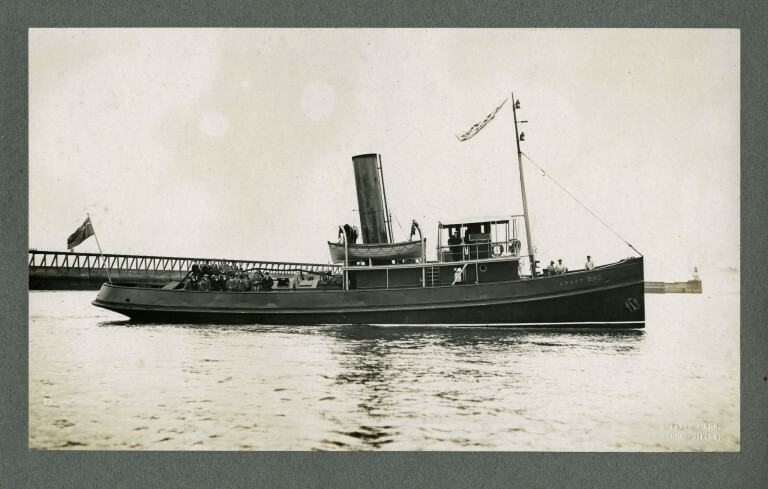 The first chain ferry, known as Low Ferry, started operating. This ran for 23 years. "As trade continued to develop, growth clearly had to be managed. In 1854 the Blyth Harbour and Dock company was formed, given powers to develop the port and to levy dues and charges." The Harbour Act was passed allowing the dredging of the Harbour to really begin. Further improvements to the harbour were carried out. The first two iron ships, known as hoppers, were built for the Russian Government by Messrs Hodgson & Soulsby at Cowpen Square. Launch dates were 22nd & 27th April. The connection between Blyth and Antarctica is a fascinating one. The community initiative utilising its rich history of exploration to transform young lives raised in difficult circumstances is a truly inspiring endeavour. I am delighted and honoured to give it my enthusiastic support. Tall ships, adventure and active learning, all aimed at getting young people in to new jobs. This is an inspirational project for Northumberland and we should all back it. This is an exceptional project. This story of the British first sighting of the Antarctic land mass deserves to be celebrated. Blyth Tall Ship and The Williams Expedition are immensely proud to be associated with our sponsors who support our cause and expedition. Over the past 3 years (2015-2018) the project has attracted broad media interest, featuring in programming on both BBC and ITV channels (local and national). The project has attracted the attention of the national press and has directly engaged with over 180,000 people in Blyth itself. There are a number of ways that sponsorship can help us and be recognised and we aim to work with each sponsor around their specific needs. For example a new set of sails will cost £25,000 and a sponsor could have their logo printed on sails that they way for. Other options might include covering the costs for a places on the round Britain or main expedition for those who are from worse off backgrounds. £750 for a leg around Britain or £2750 for a main expedition leg. You could even sponsor an Apprentice or members of staff to do it? A set of foul weather gear and lifejacket for crew members would cost £600 and we need 20 sets which could have your company logo on. Major sponsors are therefore still needed for The Williams Expedition to Antarctica where our tall ship Williams II will become a fantastic platform gaining media interest in all ports visited around Britain and the world together with the national media interest in the expedition in the UK. For more information please email info@williams-expedition.com.